Peppermint Mocha combines a cool peppermint flavour with rich chocolate, and Brown Sugar Cinnamon, brings together the sweet taste of sugar and the flavour of cinnamon. 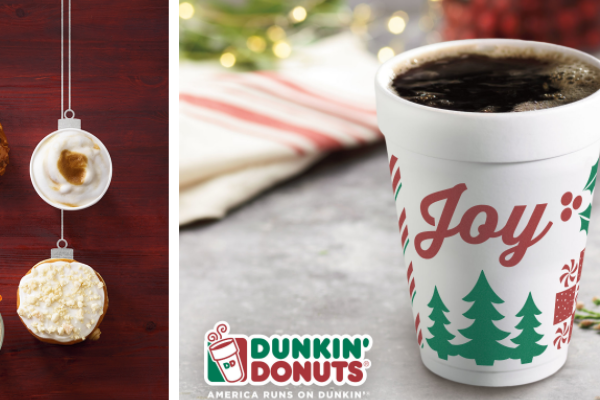 Both flavours hit participating Dunkin’ Donuts stores on 20 November and are available in hot or iced coffees, lattes, macchiatos and Frozen Dunkin’ Coffee through the end of the holiday season. 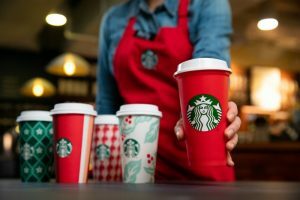 Along with the seasonal coffee flavours, another Dunkin’ Donuts tradition has returned — special cups and packaging with a festive design and the simple word, “Joy.” For many years, Dunkin’ Donuts has served coffee in cups featuring the word “Joy” to convey the happiness and spirit of the season. This year’s design incorporates seasonal graphic icons like snowflakes, peppermints, holly leaves and holiday trees to stir up the warm, nostalgic feelings associated with this special time of year. Dunkin’ Donuts has also introduced two new donuts featuring the tastes of traditional seasonal cookies, the Frosted Sugar Cookie Donut and Gingerbread Cookie Donut, along with the Snowflake Sprinkle Donut and MUNCHKINS donut hole treats. 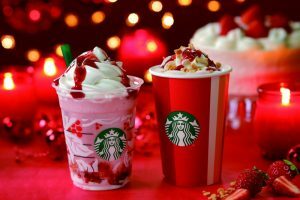 All will be available by 20 November through the end of the holiday season at participating Dunkin’ Donuts restaurants. Canton, Massachusetts-based Dunkin’ Donuts will announce special holiday promotions later this month. These will include Dunkin’ Donuts merchandise, gift ideas and value offers available throughout the holiday season.